As someone who has always struggled with their weight, a scale is not always my best friend. However, as I venture into my healthy living changes I find it a necessity to chart my progress. This scaled from SmartWeigh is great. It has a LED display that is really well lit and easy to read. You can step on the scale and get an instant reading unlike other scales where you have to step on, step off wait for it to be ready and then step back on again. It has a no slip surface so that it doesn’t move around or scratch your floor at all. It weighs up to 440 pounds accurately. I love the design of it, very sleek and minimal. It’s a great high quality scale! 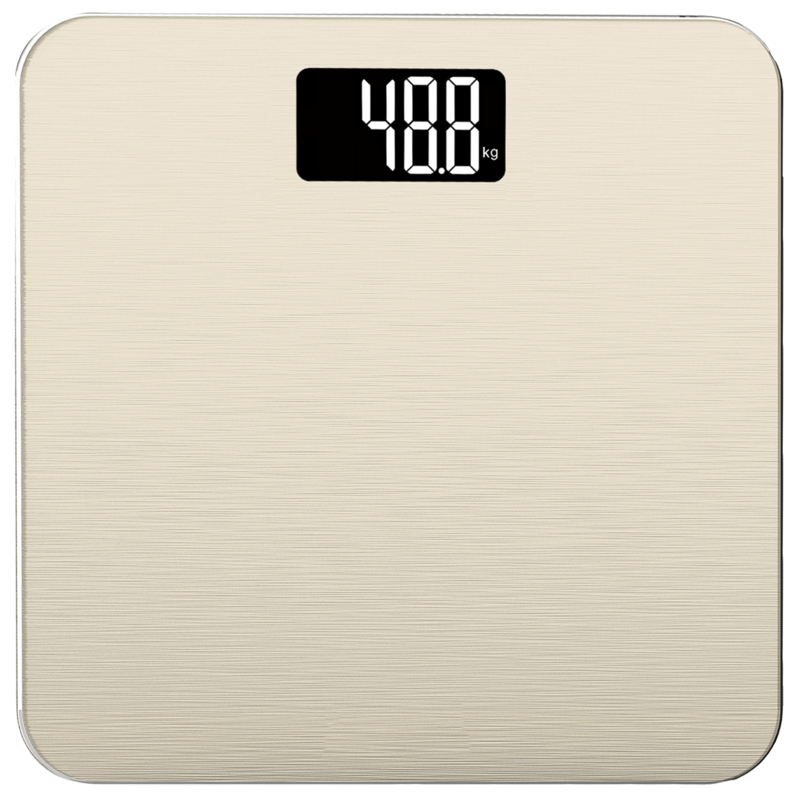 Beautifully designed bathroom scale with strong, durable tempered glass platform. Unique step-on technology enables scale to give readings upon contact. No tapping necessary. High weight capacity of 400lbs, with 0.2 lb increments. Easily switch between lbs/kg with Unit button. Digital scale uses high precision sensors for advanced accuracy. Large negative LCD screen for easy visibility. Digital bathroom scale includes 4 AAA batteries. Features low battery indicator and energy saving auto shut off.